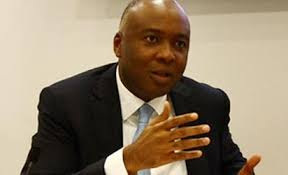 President of the Senate, Bukola Saraki, has described the release of 101 of the 110 abducted Dapchi schoolgirls as the answer to prayers of millions of Nigerians. In a statements signed by his Special Adviser on Media and Publicity, Yusuph Olaniyonu, Saraki commended President Muhammadu Buhari, the Nigerian security forces and the government of Yobe State for the efforts that led to the release of the girls, stating that the government should do all within its power to ensure the return of the remaining Dapchi and Chibok girls. “The release of the abducted Dapchi schoolgirls is tremendous news for the country. Our prayers have been answered. “I commend President Buhari, our security forces and the Yobe State Government for their effort in bringing back our girls. “However, we cannot stop here. We must not rest until all the Dapchi girls, and the remaining Chibok girls are back home with their families. “I hope that the girls that have been released will soon be reunited with their families and loved ones. “It is also necessary that we ensure that they receive the necessary care and rehabilitation that they need to continue to lead normal lives. “I urge the affected families and the Yobe State Government to do all within their power to ensure that these girls continue their education — as this will be the strongest signal to their abductors that though they may have kidnapped their bodies — they will never break their spirits and their minds,” the President of the Senate said.